Last month, I walked into a modest home in a Federal Way neighborhood next to Decatur High School and was amazed by what was happening inside. At a neighborhood meeting, I had heard that there was a thermonuclear fusion reactor in Federal Way. So, I did an Internet search and found the Northwest Nuclear Consortium website . I promptly contacted the organizer Carl Greninger for a tour. He gave me his home address and asked me to come at 6:30 p.m. on a Friday. When my son and I showed up at his house, he invited us into his garage. With modest theatrics, he pulled open his bookshelf to reveal a secret lab behind it. The first room contained the nuclear reactor. In the adjoining room there was a well-equipped laboratory. Carl gave us radiation meters and gave us a lecture on radiation safety. He had instrumentation all around the reactor to detect any radiation leakage and assured us that there had never been any radiation outside of the one-ton shielding that housed the reactor. Then, it was time to turn on the nuclear reactor. By this point, several high school students were starting to arrive. A freshman girl, Michaela, had joined us and asked if she could operate the reactor (her first time). We watched as Carl patiently guided her through the numerous steps to fire up the reactor. After a few minutes of dial turning and button pushing, we saw the glow of plasma on a flat screen TV next to the reactor. 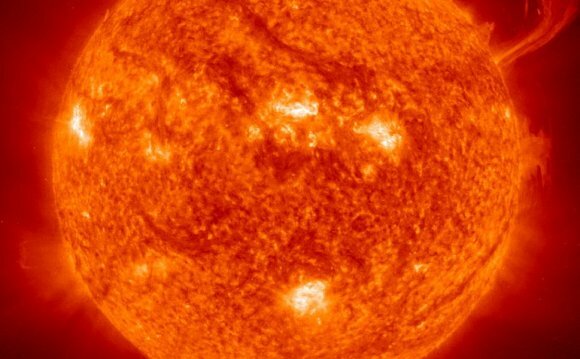 It was 300 million degrees — hotter than the surface of the sun. We also started hearing the clicking of the radiation detectors that were instrumented inside the reactor. Wow! Fusion was happening. But, the truly amazing part was yet to come. After the reactor demo, Carl invited us to join him in the lecture hall. We went into his basement, which was outfitted with a lectern, spotlights, projector and about 20 classroom-style chair/desks. At 7 p.m., I marveled at the high school students streaming into Carl's house on a Friday night. They had traveled from all over the Puget Sound. Some came from Mercer Island, some from Sammamish, and, of course, there were students from Federal Way. I was amazed to hear that there was once a student driving down regularly from Bellingham. I soon saw why. These were extraordinary students. And Carl was providing an extraordinary experience. He requires his students to study materials on chemistry, physics, engineering, instrumentation, materials science, mathematics, nuclear physics and more. He requires them to use the material published by the Department of Energy. The students need to pass exams on these subjects within their first year in the program.